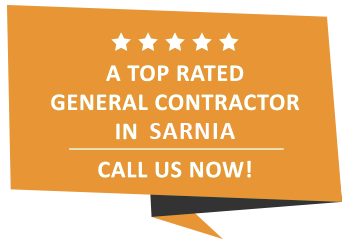 Kitchen Additions | Sarnia, Strathroy and Petrolia | Carosyl Home Additions Inc.
As the old saying goes, the kitchen is the heart of the home, and these days, that couldn’t be truer. If you are like most homeowners, your kitchen is your family’s headquarters and the hub of all activity. As the kitchen becomes more multifunctional, it only makes sense that its size and layout evolve too. The single best way to improve functionality and maximize the space of your kitchen is with a kitchen addition. Improve your kitchen with Carosyl Home Additions Inc.. When you team up with us, you will benefit from a team that is extremely skilled at capturing your vision, while never losing sight of your budget. If you are in Strathroy and interested in learning more about what we can do for you, then we encourage you to get in touch with us today! We are looking forward to being part of your kitchen makeover!